I’ve always been a big fan of plants and gardening, but I’ve never actually grown my own food. I decided to take the plunge and start out with some basil, so I bought a variety pack of seeds at Home Depot. They were only about $5, so relatively cheap if things don’t work out. Basil is amazing took cook with and the pack came with Cinnamon, Italian, Lemon, and Thai. I can’t decide which I’m most excited about; I use Italian basil on a regular basis, Thai basil will enable me to enhance some amazing Thai dishes, and I’ve never used the other two, so I’m really excited to try them out! Now, with four different types of basil that will probably all look the same, I was going to need a way to differentiate which is which. 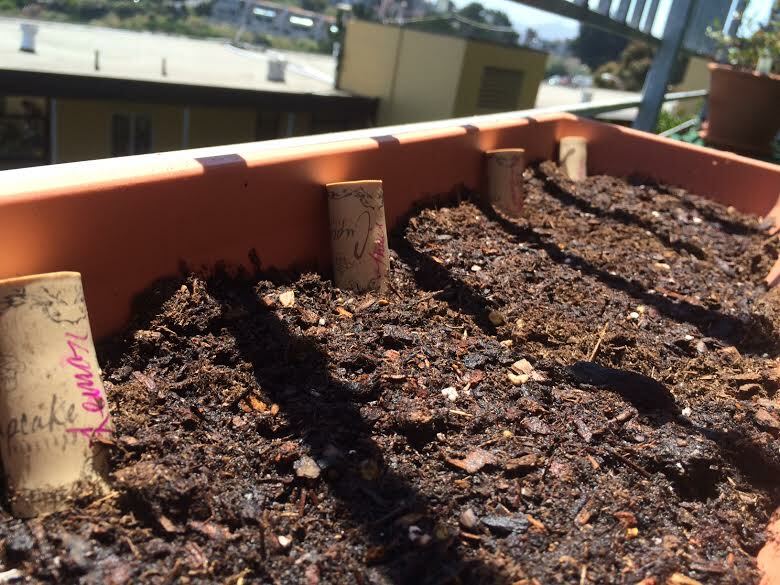 I had a bunch of old corks lying around (I’ve been collecting them for show and reasons like this), and with some pinterest inspiration, my DIY Herb/Garden Markers were born. 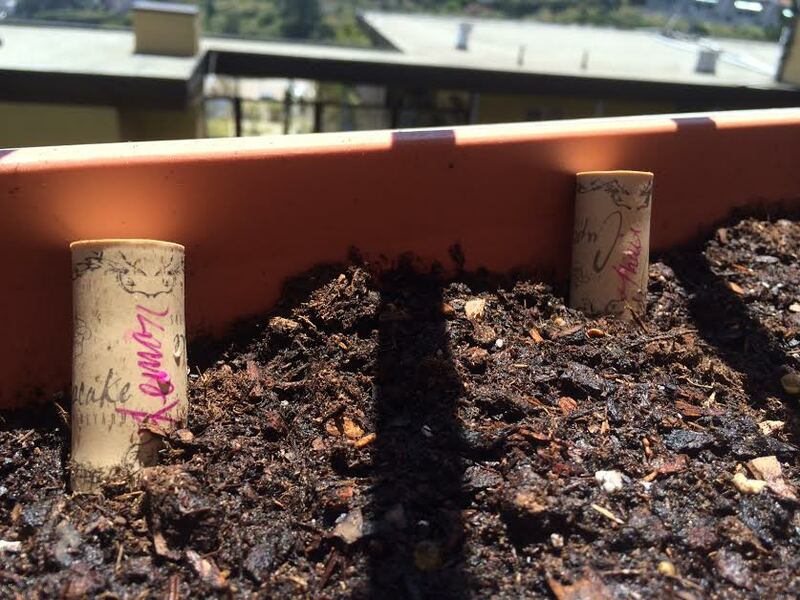 The process is incredibly simple (as I’m sure you’ve figured out)…all you need to do is plant your seeds (I don’t have an actual garden, so they are in a rectangular pot), write the name of the specific plant or type of plant on the cork, and put it in the appropriate spot! 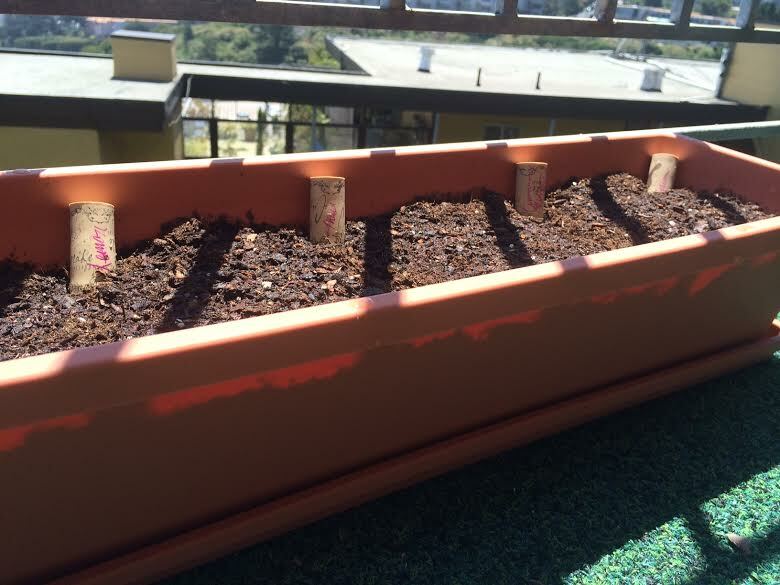 I split my seeds up into four square sections in this pot, so I put the marker where each one ends. Voila! You have your markers. You can also add sticks to them, too if you want them to pop up more. I would recommend using kebab skewers cut in half.